Has the weather ever been more interesting, and challenging? T’was a climactic week, weather-wise, but perhaps a bit less so in ultra racing. The richest trail ultra in the world–the Run Rabbit Run 100 Mile–was this weekend, though, and there were Skyrunner World Series and Ultra-Trail World Tour races, too. Let’s dive in. The Run Rabbit Run 100 Mile race turned six years old. Named for nearby Rabbit Ears Pass, the race continues to push the trail-ultra sport’s greatest prize purse even higher. This year, $65,000 went to the men’s and women’s top-seven finishers, with $12,500 to the winner alone. Even second and third took home $7,500 and $5,000 respectively. Still, the competitive field was just a fraction of what raced at UTMB last weekend. 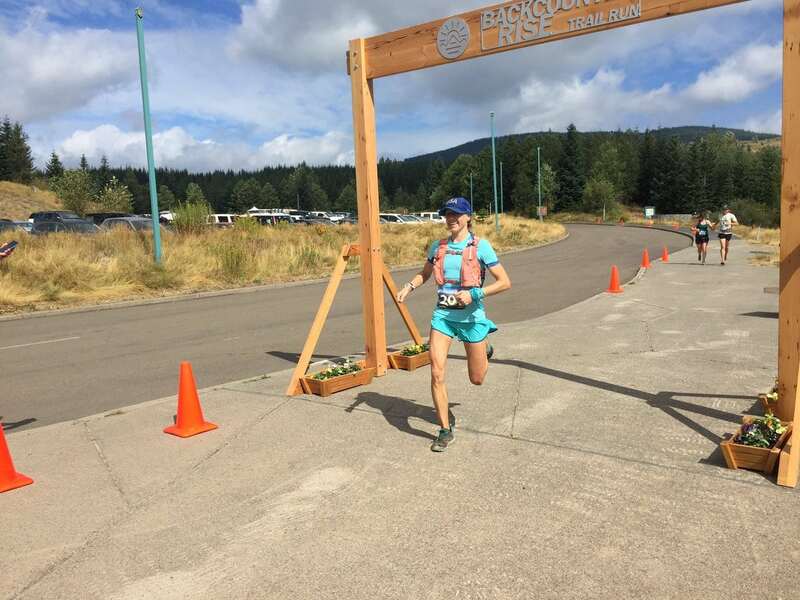 Courtney Dauwalter made it two in a row at the Run Rabbit Run 100 Mile. She finished this year’s race in 20:38, 45 minutes better than a year ago, and did it while covering the last 11 miles nearly blind, presumably a corneal-edema-like temporary condition similar to that suffered by Chuck Radford at this same race a year ago. Dauwalter’s left temple was bloodied at the finish from one of the several falls she took during that closing stretch. Still, Dauwalter was sixth overall and her finish time trails Michele Yates‘s 2013 course record by just 22 minutes. Second-place Emma Roca (Spain) ran 22:31, and third-place Becky Kirschenmann finished in 22:34. Other top finishers included Kerrie Bruxvoort and Sabrina Stanley in fourth and fifth at 23:51 and 24:16, respectively. Yates, attempting to make a comeback following serious hip surgery, did not finish. This was surely the biggest win of Jim Rebenack‘s career. He went for 18:44, beating out a string of strong ultrarunners. Western States 100 third-placer Mark Hammond was second here, just as he was in 2016. Hammond trailed the race winner by nine minutes. Charlie Ware was third in 19:35. Defending champ Alex Nichols was an early drop, and other competitive entrants Brian Condon, Gabe Joyes, Dan Metzger, Cody Reed, Marco Sturm, and John Tidd similarly did not finish. The Devil’s Ridge 60k was part of the Skyrunner World Series, specifically the Sky Ultra class of races. The loop course was said to have taken in sand canyons, a dormant volcano, and typical heat and sandstorms for the southern Gobi Desert. 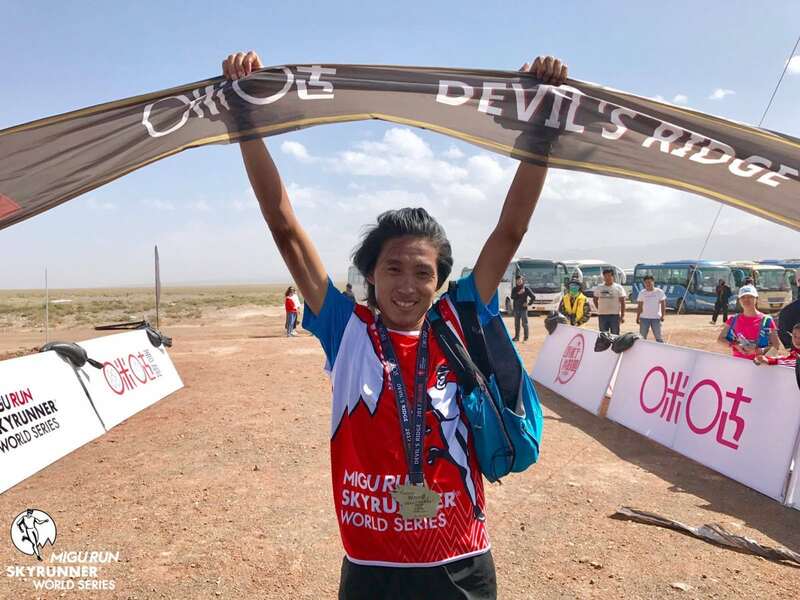 It wasn’t a typical Skyrunner race then, though the race did include one steep climb near its midpoint to total 2,154 meters of elevation gain. Francesca Canepa (Italy) won the women’s race without challenge, finishing in eight hours flat. Yue Zhang (China) was second woman in 10:11 and Zhili Ou (China) was third in 10:58. Chinese runners took each of the top-three men’s positions. Min Qi, Fuming He, and Duoji Silang each ran 6:18, 6:22, and 6:43. Jan Bartas (Czech Republic) broke up the Chinese streak with a fourth-place 6:46. Both men’s and women’s winners set new course records. The next Skyrunner World Series races are the September 16 Ring of Steall Skyrace (in the Sky Classic series) and Ben Nevis Ultra (in the Sky Ultra series) as well as the September 17 Glen Coe Skyline (in the Sky Extreme series), all in the U.K.
It’s a new name to me, but Luzia Bühler looks to have taken sixth at the Lavaredo Ultra Trail earlier this year, and is now the 2017 Wasatch Front 100 Mile champion. She took to the point-to-point course in 25:08. Though well off Darcy Piceu‘s 2016 winning time, Buhler’s mark is in line with recent year’s bests. Emilee Walker and Jennilyn Eaton were second and third in 26:55 and 27:29, respectively. Men’s winner Trevor Fuchs was a repeat champ. This year’s 20:59 was about 15 minutes better than in 2016. Jesse Rich and Robert Edminster ran 22:12 and 22:55 for second and third. The 125k Ultra-Trail Harricana was the Ultra-Trail World Tour’s latest installment. The roughly 75-mile race gains 13,000 feet of elevation on a one-way path, after a brutal 2 a.m. start time. Both women’s and men’s winners Sarah Keyes and Vivien Laporte (Canada) set new course records. Keyes finished in 14:31 and Laporte ran the deep-forest track in 12:48. The next Ultra-Trail World Tour race is the October 19 Diagonale des Fous on Réunion Island. Joe Gray was back in Europe, and it appears he was off his best at the Dolomitenmann race in Austria. Here a runner climbs a mountain, a paraglider goes back down, and a mountain biker and kayaker then finish the four-person team race. Gray’s team took second in 3:53, but his 1:26 run was four minutes off the best of the day. Team third-place Petro Mamu (Eritrea) had a day’s best 1:22 run, and team first-place Philip Götsch was the event’s second-fastest runner. Other top runners taking part were Victor Kiplangat (Uganda) in 1:24, Anton Palzer (Germany) in 1:23, and Stian Angermund (Norway) in 1:27. Full results. Gretchen Metsa ran 25:23 to win the Superior Fall Trail Race 100 Mile in Minnesota. Men’s winner Neal Collick‘s 19:31 was just a minute back of the current course record. Full results. Longer and more difficult than the U.S.’s similarly styled TransRockies Run, the two-person TransAlpine Run run crosses Italy, Austria, Switzerland, and Germany over seven stages totaling 267k (166 miles). Benjamin Bublak and Christoph Lauterbach (both of Germany) were the top men’s team with a collective 29:44 run. Sanna and Lina El Kott Helander (both of Sweden) won the all-ladies division in 34:40, and in the mixed class, Mathieu Blanchard (France) and Marianne Hogan (Canada) teamed to run 32:46. Full results. Emily and William Ansick won the three-lap Steep Canyon 50k in North Carolina. No holding hands here, William was first in 4:47 and Emily came in at 5:41. Full results. In Michigan, Jessica Southers was hours better than the next woman in the Run Woodstock 100 Mile race. She finished in 20:00, missing a sub-20 finish by some six seconds. The men’s race was close with Tobias Krumm holding off a fast-closing Jay Smithberger. The two ran 18:30 and 18:34. Full results. 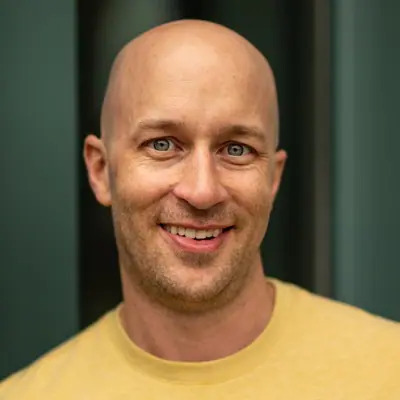 According to social media, Dave Proctor ran 170k (106 miles) over two days to the Lost Soul 100 Mile starting line in Alberta, Canada, and then won the race in 19:27. Anna Duda won the women’s race in 24:26. Full results. The final race of the first-year Under Armour Mountain Running Series took place at Colorado’s Copper Mountain Resort. Taylor Nowlin, second at last weekend’s The Rut 28k, was out front in the women’s 50k at 5:05, 21 minutes up on second-place Brandy Erholtz. Men’s winner Mario Mendoza earned his prize money in 4:20, beating 4:26 and 4:30 runs by Ryan Phebus and Brett Hales. Full results. Washington’s first-year Backcountry Rise Trail Run made a giant loop in sight of Mount St. Helens, Mount Rainier, Mount Adams, and Mount Hood. Ladia Albertson-Junkans and Keith Laverty won the 20-mile race in 2:59 and 2:50, and Sarah Pizzo and Max King led the 50k in 5:44 and 4:49. Full results. It looks like no woman finished the Swiss Peaks Trail 170k race in Switzerland. The small group of 28 finishers were led by Serge Lattion (Switzerland) and Patrick Bohard (France) in a first-place tie at 27:49. Full results. Pennsylvania’s Pine Creek Challenge 100 Mile runs fast. Mary Beth Strickler was first female, third overall, in 16:39, and men’s winner Brad Popple ran 14:16, one of the year’s fastest 100-mile runs in the U.S. Full results. The 55k Glen Coe Skyline race is the year’s third and final Skyrunner World Series Sky Extreme contest. The lollipop course jams in 4,746 meters (15,570 feet) of elevation gain. Course-record holder Jasmin Paris (U.K.) is not returning as she’s currently pregnant, and current Sky Extreme series leader Maitie Maiora (Spain) is also not entered. Caroline Chaverot (France) is entered, but we’re guessing she won’t start due to the physical issues that took her out of UTMB last weekend. It’s likely that race-everything Ragna Debats (Netherlands) will earn enough points, then, to leapfrog Maiora and take this year’s series crown. Top entrants, including Debats, are listed below. Just fifth in the current standings, 2016 Sky Extreme series winner Jonathan Albon (U.K.) has some ground to make up. He is the defending race champion and current course-record holder. Everyone he needs to beat will be here, too. Glen Coe Skyline looks like good competition next weekend. Who do you have on your winner’s card? What other races happened this weekend? Leave a comment to share results. What races were interrupted by extreme weather? A, Thanks for the heads up and we’ve updated the article. Stage racing in Spain this weekend: Cody Lind of Team SCOTT et al take first at Riano Trail Run in Castilla y Leon, Spain! 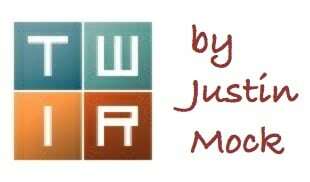 Thomas, Thanks for the corrections, and the article is updated! Luzia Buehler of Switzerland (Wasatch winner) also placed 3rd at Swiss Alpine in Davos earlier this summer. Less notable, but still upcoming races this week include the U.S. Skyrunner Series race, Idaho Mountain Trail Ultra Festival (IMTUF) 100 near McCall, Idaho. IMTUF is the U.S. Skyrunning ultra series’ inaugural 100-miler. The plain and simple, “Plain 100” will be run in central Washington. This year features an interesting storyline where the wife and husband duo of Gina and Steve Slaby are looking to win on the 100-mile, unmarked, unaided course. Gina Slaby was runner up at this year’s Waldo 100k while Steve Slaby won last year’s Plain 100 in the final miles. Fat Dog 120 winner Yitka Winn is registered alongside Slaby in the Women’s race. A notable wildfire cancellation is the Crystal Mountain Sky Marathon, also a U.S. Skyrunner Series event, which is off due to the ongoing Norse Peak Fire that abuts the ski area. Devil on the Divide in Empire, CO. I think Sean ran a course record? He has so far started at each of the previous runs? Interestingly it was Georgs first time and he came over from Germany. Incredible performance by everyone. Ultra Tour Monte Rosa (UTMR) – Lizzy Hawker’s race through the Swiss & Italian Alps was this past week. Might be of interest to many?! An unbelievable event. Cheers. Yes, he set a course record by 30 mins and took 12 hours off his finish from last year.